Overall, I’m just not impressed with Custom Probiotics Adult Formula CP-1 and give it 2 out of 5 stars. Unfortunately, there isn’t much I like about this probiotic supplement. The main thing that comes to mind is that it’s very allergy friendly and covers an extensive list of allergy concerns. I really do appreciate that quality of this supplement because many people suffer from food sensitivities and allergies (me being one of them). But other than that, it just misses the mark for me. This probiotic is super potent and goes way overboard. 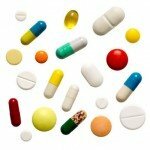 There are 60 billion CFU per capsule and the company suggests taking anywhere from 1-6 capsules per day. That means you’d be getting up to 360 billion cells per day, which is ridiculous and just too many. Also, since it’s more potent it can definitely lead to more side effects. 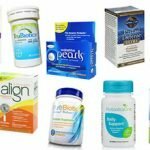 I personally saw bloating and stomachaches when I was testing out this particular probiotic. You also potentially have to take a ton of capsules per day, which is a hassle. The directions say to take the capsules with a full glass of water and on an empty stomach, either in the morning 30 minutes before a meal or at bedtime. They also say to add an extra capsule every 3 days until you reach your desired results (up to 6 capsules per day). This probiotic is for short-term use or for a specific ailment. It’s also only for adults (as the name suggests), so it’s not safe for children to take. This probiotic ends up being almost $52 when you factor in shipping, which is very expensive. You also have to keep it refrigerated in order to keep the cells at their maximum potency, which can be a pain. I don’t think it ends up being a good value for the price. There are 5 different probiotics in the strain profile and each capsule has 60 billion cells. Of note, I like that Bifidobacterium bifidum is used. This strain may potentially help in a number of different areas including combating stress, lowering cholesterol, fighting off harmful bacteria, and improving appearance of skin. Studies suggest that Bifidobacterium bifidum may help boost immunity, alleviate allergies, improve GI disorders, and combat infections. Another strain I highly approve of is Lactobacillus acidophilus. Research shows that this particular strain may help with digestive disorders and the issues that come along with them and also aid in proper immune response and function. 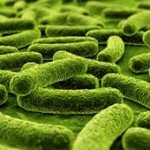 Lactobacillus acidophilus may help with preventing diarrhea, treating vaginal infections, chronic constipation, improving lactose intolerance, and suppress disease-causing bacteria. Studies show it may aid as a symptom reliever for Irritable bowel syndrome (IBS) and inflammatory bowel disease (such as Crohn’s disease and ulcerative colitis). Custom Probiotics Adult Formula CP-1 is actually very allergy friendly and I really appreciate it. The probiotic supplements do NOT contain dairy, sugar, gluten, soy, corn, casein, yeast, eggs, fish, peanuts, shellfish, wheat, celery, mustard, sesame seeds, lupin, or molluscs. They give a pretty extensive list and even have a few more on their website. 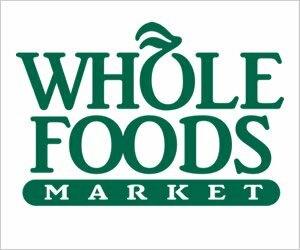 It’s also free of any artificial colors, flavors, preservatives, FOS or any Genetically Modified or engineered ingredients. I’m really impressed with how allergy friendly this probiotic is. The other ingredients include: Microcrystalline cellulose, magnesium stearate, silica, gelatin capsules. The price for a 90 capsule bottle is $45.00. There’s also a $6.95 shipping fee that’s tacked on. The bottle will last you anywhere from 30 – 90 days, depending on how many capsules you take daily. If you take 1 capsule per day, it works out to $0.50 daily and if you take 3 capsules per day, it’s $1.50. With just one capsule daily, it’s really affordable but if you take 3 or more, that’s when it gets really expensive. I most definitely saw some negative side effects when taking Custom Probiotics Adult Formula CP-1. This is a very potent probiotic. They also recommend taking anywhere from 1-3 capsules per day and on their website they suggest up to 6 capsules! This means you’re getting 60 billion to 360 billion CFUs per day. That’s just insane and way overboard. I can’t imagine why someone would need 360 billion cells, that’s just too much. It does suggest starting off with 1 capsule per day (I highly recommend this, too) and then after every 3 days increase by 1 extra capsule per day. They say to do this until you achieve the results and effects you’re looking for. Just ease into this one and definitely be mindful that it’s rather potent. Make sure you drink a full glass of water with the capsules. I’m really disappointed because Custom Probiotics doesn’t seem to offer any guarantee for the Adult Formula CP-1 probiotic. This is a huge let down, especially since this supplement is on the pricier end. I wish they had at least some type of money back or satisfaction guarantee for their customers. Also, their return policy is horrible. Unopened items may be returned within 30 days. However, they incur a 10% restocking fee. So you wouldn’t even be able to try the product and you’d also be losing money on the restocking fee. This isn’t a good return policy in my opinion. 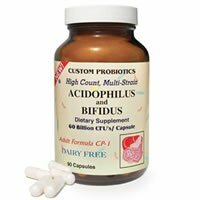 To buy Custom Probiotics Adult Formula CP-1, click here.